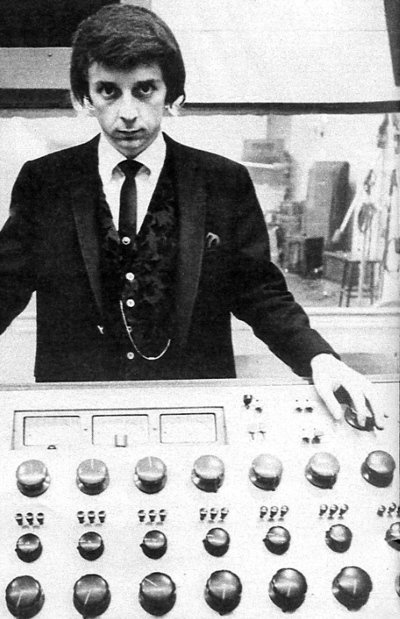 “The Agony and the Ecstasy of Phil Spector”: You’ve Lost That Lovin’ Feeling…. In The Agony and the Ecstasy of Phil Spector, the infamous music impresario compares himself to Michelangelo (hence the film’s title). The Sistine Chapel…Pretty Little Angel Eyes; you’re probably kicking yourself because you didn’t notice the similarity before. The megalomania probably won’t come as a surprise but expect an unexpected amount of charm from the legendary Wall of Sound producer (and convicted murderer) who spoke with director Vikram Jayanti in several, exclusive (Scoop! ), in-depth interviews in between his two trials. Also expect to hear lots and lots of Spector’s signature sound. He’s a Rebel over murder trial footage? Yeah, baby. Director Jayanti will conduct a post-screening Q & A on Thursday when the film begins its exclusive L.A. run (through August 22nd) at the Egyptian Theater. If you attend Friday night instead, Spector’s former classmate, fellow Teddy Bear, and Oscar-nominated songwriter Carol Connors will be introducing the film. To Know Him Is to Love Him, indeed. If you don’t want to dive into Spectormania on an empty stomach (or need food fortification after), stop by the Prohibition-era Pig ‘n Whistle (also legendary…for hosting the first Oscar party). Produce your movie ticket and you’ll get 10% off the food bill…which means you can order another drink. I’m beginning to worry about this seeming obsession with cocktails. Is there something you need to tell us, Ms. Go-Go? Hmmm? Well, Ms. Go Go does love her cocktails but as a category, they’re just natural punch lines. Who can resist!